WHAT ON EARTH IS “CAMAL”? Lurking deep within the unsuspecting membership of CAMRA (The Campaign for Real Ale) is a tiny group of subversives. But all they want is MORE good beer – more choice and more variety. They go back in history to the far off days of 1986 when a core of disciples (two of whom are still with us) gathered around the legendary Geoff Broadley and founded CAMAL - THE CAMPAIGN FOR AUTHENTIC LAGER. To some, this will sound like consorting with the devil. 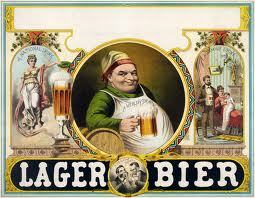 After all, is not one of the purposes of CAMRA to fight lager wherever it raises its ugly head? Is not carbon dioxide the ultimate devil’s seduction? Whilst this was a good, if crude, yardstick for combating poor beer in Britain in the 1970s and 80s, it ignores what those foreigners brew in far off lands. For those of us who dared to creep across the Channel and had read Michael Jackson’s magnificent book “The World Guide to Beer”, a revelation awaited. Many varied brews, especially from Belgium and Germany were not only very good but some of them were, and are, superb. Should we nevertheless stick rigidly to our island doctrines that we know, trust and love? Or can we stand up, throw inhibitions to the winds and indulge ourselves in the hedonistic pleasures of magnificent and varied beers? To the sinfully inclined, the answer is obvious. Brewing – must use bottom fermented yeast and be at between 5ºC and 10ºC. Conditioning – must be for a minimum of 4 weeks at between -2ºC and +2ºC. It must not be pasteurised but may be filtered. Storage – must be between 6ºC and 8ºC. Serving – pressure of external CO2 must be sufficient only for the purpose of serving and the lager must be at between 7ºC to 10ºC. However, in practice, we are broad minded and on occasions indulge ourselves in top fermented ales when sampling. Like our sister organisation, SPBW – the Society for the Preservation of Beer from the Wood - our title of CAMAL should not be interpreted too narrowly. So what of our organisation and activities today? To say that we are tiny would be a gross exaggeration – we are minute but not exclusive. We are multinational as we have members from abroad (at least two from Germany). Like all vibrant organisations, we have a badge, costing £3 each, and a tie (now sold out). Who knows, one day we may even have a shirt. CAMAL is a jolly, friendly, boozy group of committed beer drinking friends who have fearlessly aimed go on an annual visit across the Channel (or beyond) and hold several socials during the year in various London hostelries that sell interesting beers. Amazingly, we have members who are able to record and assess the results of our researches and these are reported in the annual “CAMAL NEWS”. This interesting and highly informative publication is very much a rare, iconic, collectors’ item and will prove a vital source of data for future researchers. The organisation is, well, “minimalist” – we have no great headquarters staff to mother us. We are definitely DIY. A Committee is elected at the AGM. There is no politics or jockeying for position involved. I was unanimously elected Chairman some years ago by mistake – I was in the gents at the time and have been trying ever since to get this reversed! History, however, is on our side. The recent growth of “craft beers” and the growing number of pubs in London selling an increasing selection of cask and keg beers is heralding a golden age of quality, choice and variety. We can regard the convoluted, near hysterical howls from the CAMRA dogmatists and die-hards with smug satisfaction. Is not the neurotic attempt to push back the tide of superb beers now being brewed under the “craft” banner not only Canute-like but also reminiscent of the discussion as to how many angels could dance on the head of a pin?